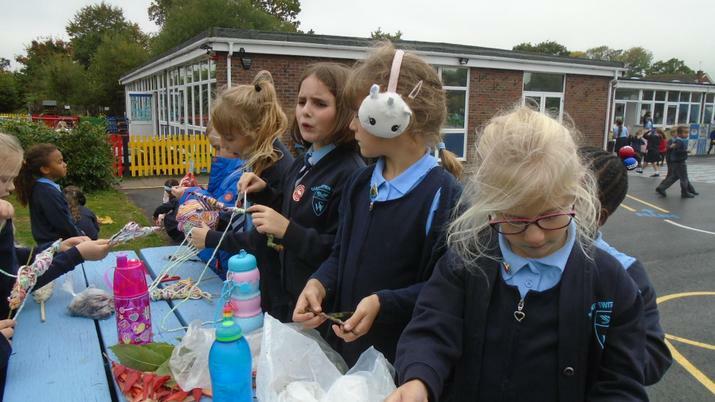 Just because it’s cold or raining, doesn’t mean we can’t still enjoy walking, scooting or cycling to school and being active outdoors during the school day. 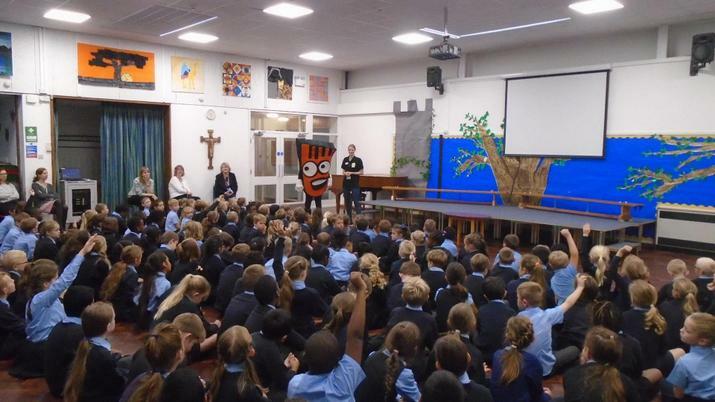 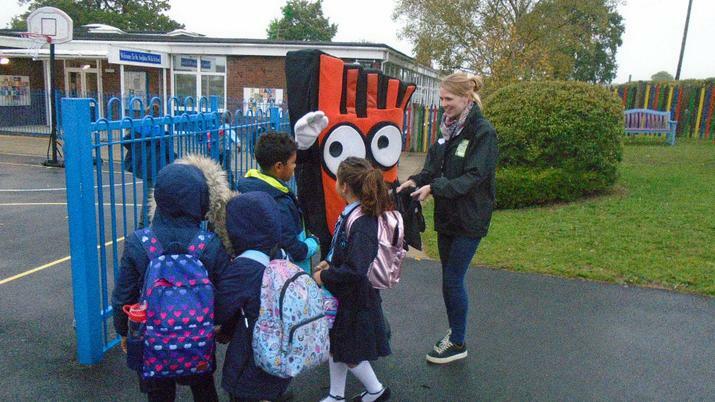 We celebrated “Walking whatever the weather this Walktober” with Strider who was at the school gate to greet walkers this week. 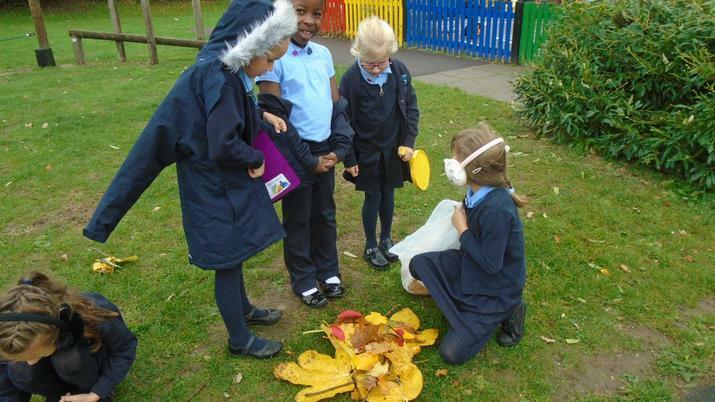 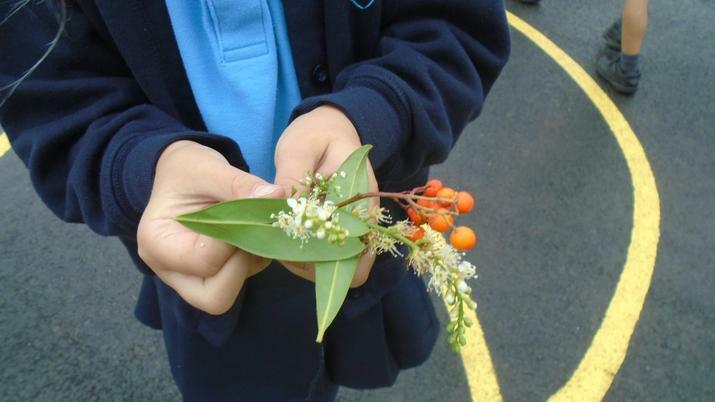 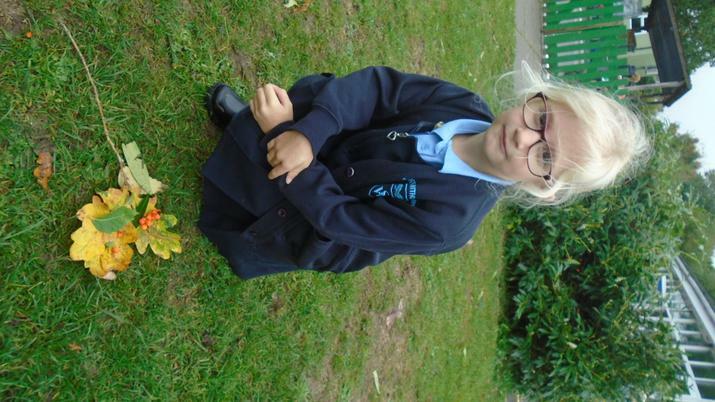 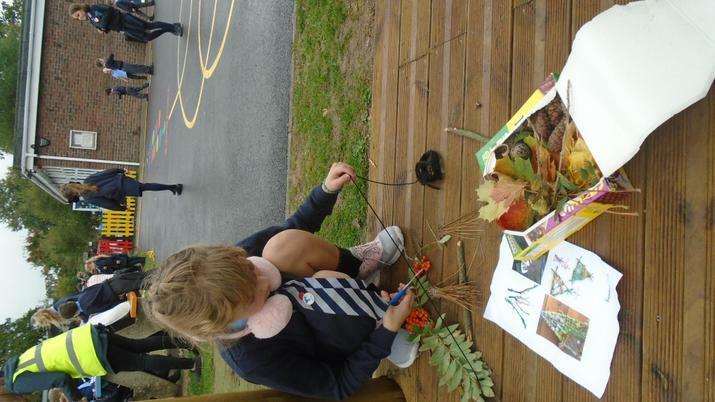 Natural Art Celebration - We collected twigs, leaves, cones and other fallen natural things as we walked to school. 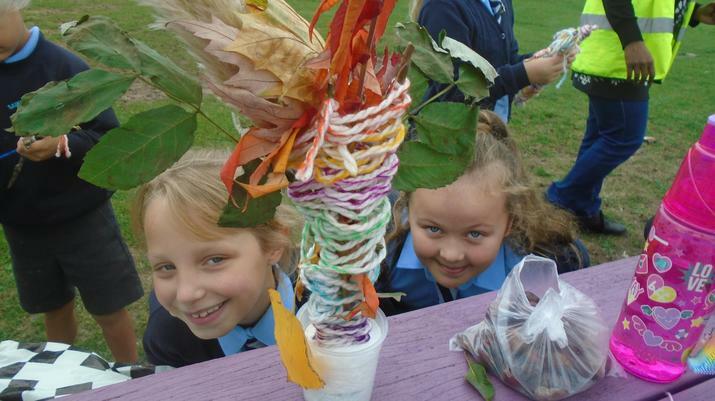 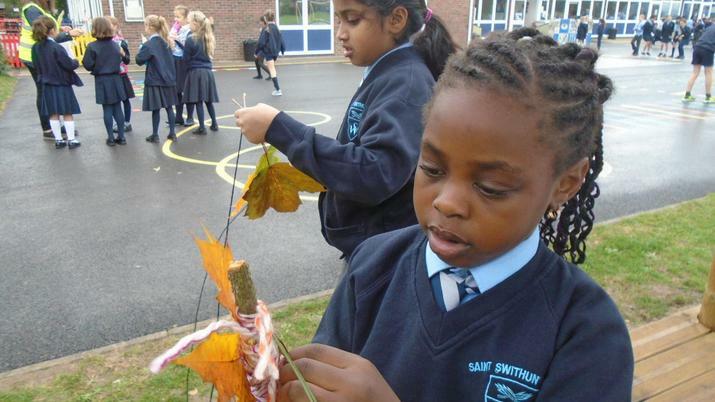 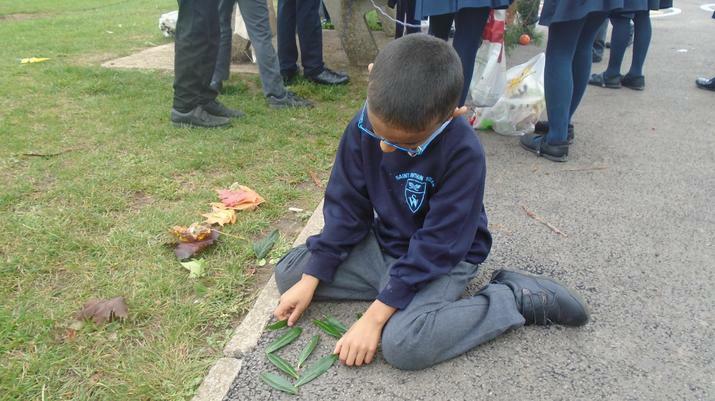 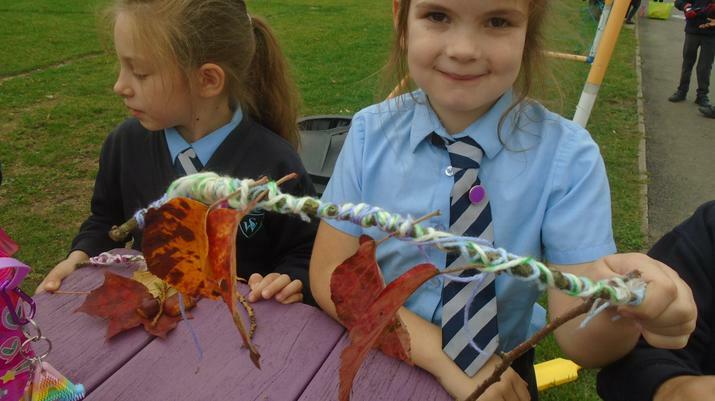 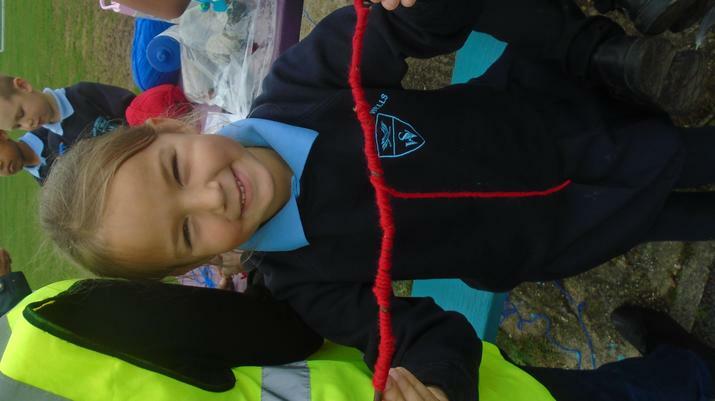 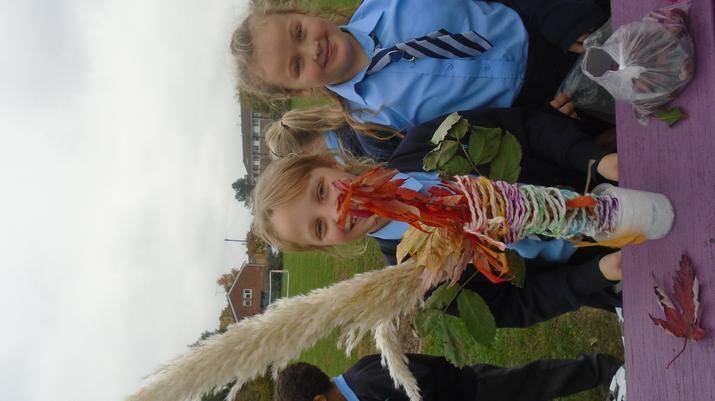 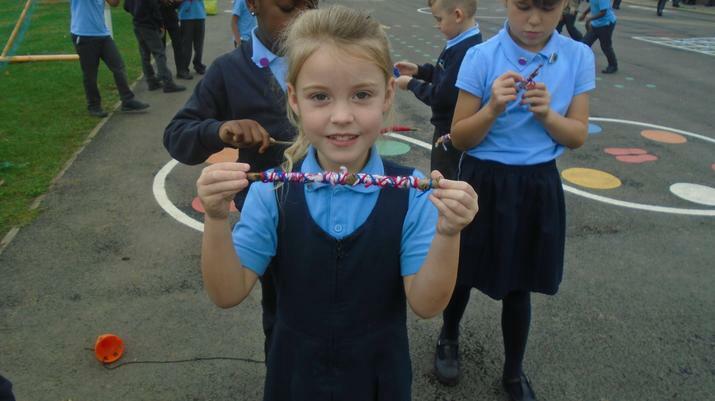 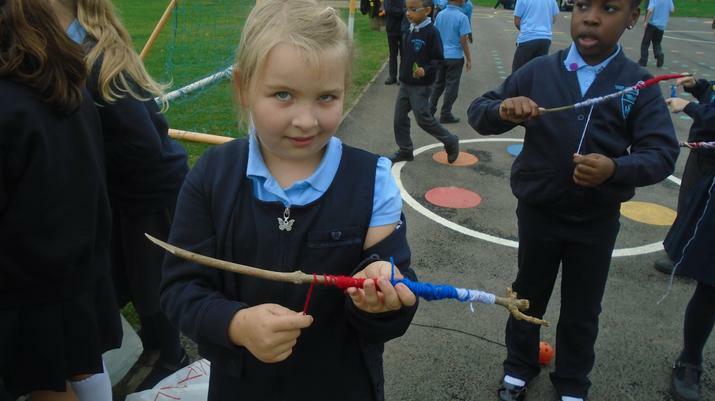 We created Leaf Art and Twig Weaving on the playground at lunchtime.